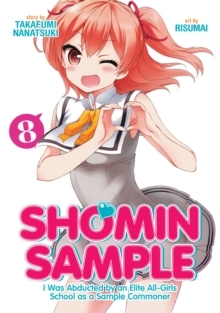 Shomin Sample: I Was Abducted by an Elite All-Girls School as a Sample Commoner is a currently ongoing series about a young man kidnapped to provide common-world experience to a school of sheltered rich girls. 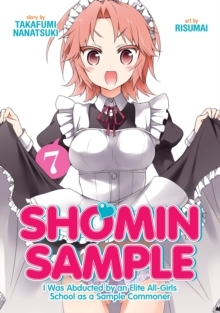 The manga is adapted from a popular series of light novels and had an anime adaptation being streamed by Funimation. 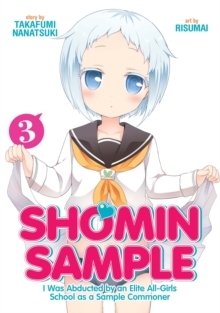 Seven Seas will be publishing Shomin Sample for the first time in print in North America as single volumes, each one with a colour insert. Deep in the forest-covered mountains is an all-girls school, attended by children from only the richest and most prestigious of families. Here, the girls are raised to be perfect young ladies, cut off from the real world to preserve their innocence and ensure that they're free from all distractions. This policy of isolation is a double-edged sword, however, for after graduation students of the academy often struggle to adapt to a world that's totally different from their cloistered school life. To combat this inevitable culture shock, an average teenage boy, Kagurazaka Kimito, is kidnapped by the school to provide its students with knowledge of the outside world. Forced to enroll against his wishes, Kimito must now attend classes in a place where his very manhood relies on keeping the girls happy. Can one regular guy possibly survive in a fearsome, all-female student body?